The history in the Louisville, Kentucky region is rich — both in the influences the area had on overall American history and in the places that remain to tell the story. For a community of its size, the Louisville area has a surprising range of opportunities for both the casual visitor and the history buff. 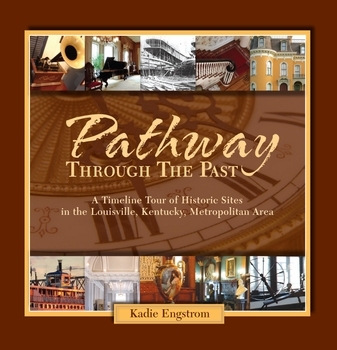 Pathway Through the Past specifically targets places a visitor can go to learn about a segment of the wonderfully vast historic resources of Louisville's metropolitan area. Besides showing related events in history, it identifies sites (including those designated as National Historic Landmarks) that are available for visitation and which interpret a piece of the historic puzzle. Especially highlighted are the members of the Kentuckiana Heritage Consortium, a networking group of historic sites striving diligently to preserve structures and spaces that were established in the 18th, 19th, and early 20th centuries and to acknowledge events that were cornerstones to the foundation of the community as a whole. Each historic site featured in this volume has its own unique tale, yet together they are the unfolding pages of a book that will continually be written and rewritten. History is never finished; it is always starting up again.